Kick off your visit on the 18th (Thu): make a trip to Bongeunsa Temple. Get ready for a full day of sightseeing on the 19th (Fri): explore the historical opulence of Deoksugung, appreciate the history behind Gwanghwamun Gate, then look for gifts at Jang Ji Bang, and finally get to know the fascinating history of Hwaseong Fortress. For where to stay, traveler tips, ratings, and tourist information, use the Seoul online visit planner . San Francisco, USA to Seoul is an approximately 14-hour flight. You can also do a combination of subway and flight; or do a combination of shuttle and flight. Traveling from San Francisco to Seoul, you'll lose 17 hours due to the time zone difference. While traveling from San Francisco, expect a bit cooler days and a bit warmer nights in Seoul, ranging from highs of 66°F to lows of 65°F. Finish your sightseeing early on the 20th (Sat) to allow enough time to drive to Sokcho. Popular historic sites such as Naksansa Temple and The 4th Tunnel are in your itinerary. Step off the beaten path and head to Seoraksan National Park and Geumganggul Cave. Change things up with these side-trips from Sokcho: Goseong-gun (Sangjongam County Park, Cheonjin Haesuyokjang, & more). Next up on the itinerary: hike along Ulsanbawi Rock, take in the natural beauty of Cheoksan Foot Spa Park, wander the streets of Abai Village, and don't miss a visit to Dongmyeong Port. To find where to stay, photos, reviews, and tourist information, refer to the Sokcho trip maker . Traveling by car from Seoul to Sokcho takes 2.5 hours. Alternatively, you can take a bus. Traveling from Seoul in October, expect a bit cooler with lows of 60°F in Sokcho. Finish your sightseeing early on the 24th (Wed) to allow enough time to drive to Andong. 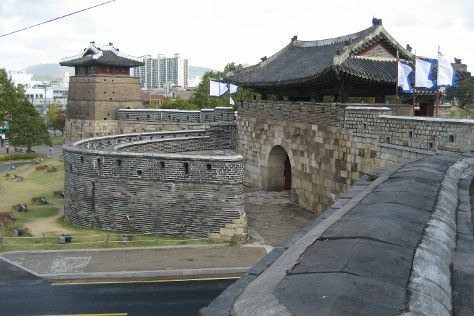 Sitting along either side of the Nakdong River, Andong maintains an unrivalled reputation as a center for Korean folk and cultural heritage. Start off your visit on the 25th (Thu): contemplate the long history of Byeongsanseowon Confucian Academy, then contemplate the long history of Andong Hahoe Folk Village, then steep yourself in history at Dosanseowon Confucian School, and finally take a stroll through Andong Gunja Village (Historic Site of Ocheon). Get ready for a full day of sightseeing on the next day: wander the streets of Andong Folk Village, then take a stroll through Yeongju Museom Village, then contemplate in the serene atmosphere at Bongjeongsa, and finally steep yourself in history at Imcheonggak House. For where to stay, traveler tips, more things to do, and tourist information, you can read our Andong trip itinerary builder tool . Traveling by car from Sokcho to Andong takes 3.5 hours. Alternatively, you can take a bus. In October, plan for daily highs up to 68°F, and evening lows to 60°F. Cap off your sightseeing on the 26th (Fri) early enough to go by car to Gyeongju. Get some cultural insight at Cheonmachong Tomb and Cheomseongdae Observatory. 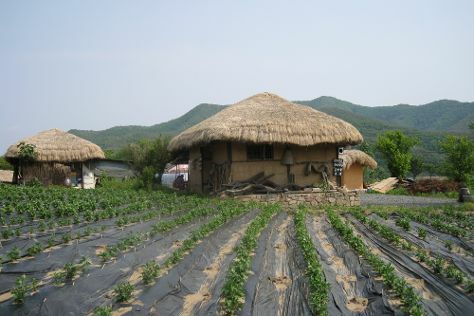 Visit Yangdong Folk Village and Oksan Seowon for their historical value. Spend the 30th (Tue) exploring nature at Gyeongju National Park. Next up on the itinerary: examine the collection at Gyeongju National Museum, steep yourself in history at Royal Tomb of Queen Seondeok, contemplate in the serene atmosphere at Seokguram, and make a trip to Donggung Palace & Wolji Pond. To find maps, reviews, more things to do, and more tourist information, read Gyeongju trip itinerary builder app . Getting from Andong to Gyeongju by car takes about 2 hours. Other options: take a train; or take a bus. In October, plan for daily highs up to 68°F, and evening lows to 60°F. Wrap up your sightseeing on the 30th (Tue) early enough to drive to Busan. You'll discover tucked-away gems like Gwangalli Beach and Beomeosa Temple. Do some cultural sightseeing at UN Memorial Cemetery and Busan National University Daehak-ro. And it doesn't end there: get great views at Taejongdae, enjoy the sand and surf at Songjeong Beach, don't miss a visit to Gwangandaegyo Bridge, and tour the pleasant surroundings at Yongdusan Park. Make your Busan itinerary with Inspirock to find out what to see and where to go. Traveling by car from Gyeongju to Busan takes 1.5 hours. Alternatively, you can do a combination of bus and subway; or take a train. 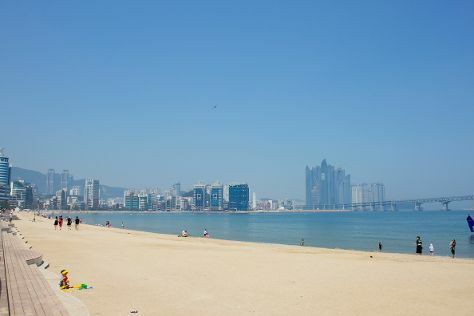 In October, daily temperatures in Busan can reach 72°F, while at night they dip to 56°F. Finish your sightseeing early on the 3rd (Sat) so you can travel to Seogwipo. Get a sense of the local culture at O'Sulloc Tea Museum and Teddy Bear Museum Jeju. Get in touch with nature at Hyeopjae Beach and Hallim Park. Venture out of the city with trips to Jeju (Halla Mountain, Mysterious Road (Dokkaebi Road), & more). 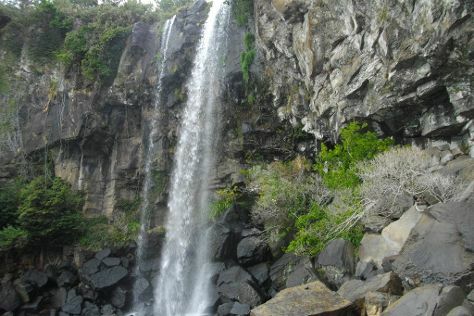 There's much more to do: admire the sheer force of Jeongbang Waterfall, kick back and relax at Yongmeori Beach, contemplate in the serene atmosphere at Yakchunsa Temple, and enjoy some diversion at Jeju World Cup Stadium. For photos, reviews, other places to visit, and more tourist information, read our Seogwipo itinerary planning app . Traveling by combination of flight and bus from Busan to Seogwipo takes 4 hours. Alternatively, you can do a combination of train, taxi, flight, and bus; or do a combination of train, flight, and bus. Finish your sightseeing early on the 8th (Thu) to allow enough time to travel back home.